This work is a derivative of “Change” by Damian Gadal, used under CC BY. It is licensed under CC BY by ThinkDesign Group. The Great Recession, Occupy, and Black Lives Matter: all have helped raise public consciousness around issues of economic disadvantage. Leading figures from both major political parties have debated these issues, and the popular media has reported on a wide variety of stories relating to poverty and inequality. Everyday conversations among millions of Americans now include casual references to the 1%—and the 99%. The U.S. is “exceptional” in its economic deprivation relative to other wealthy countries. This includes extremely high levels of economic insecurity, skewed income and wealth distributions, and lower rates of social mobility. In the past two decades, social scientists have begun to focus more attention upon the influence of political forces in shaping this uniqueness in cross-national context. 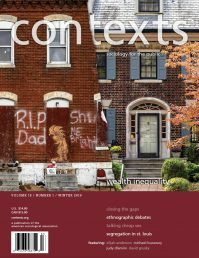 These scholars aim to address the dramatic rise in economic inequality and shortcomings in perspectives that narrowly focus on economic growth or demographic characteristics, and they are aided in the new availability of cross-national data sets, increasing methodological sophistication, and a greater willingness to question dominant modes of thought. Among the current leading alternatives to the standard economic growth or demographic arguments, explanations focusing on the role of political forces such as social policies and labor unions have performed particularly well in explaining cross-national variation and current trends in poverty and inequality. 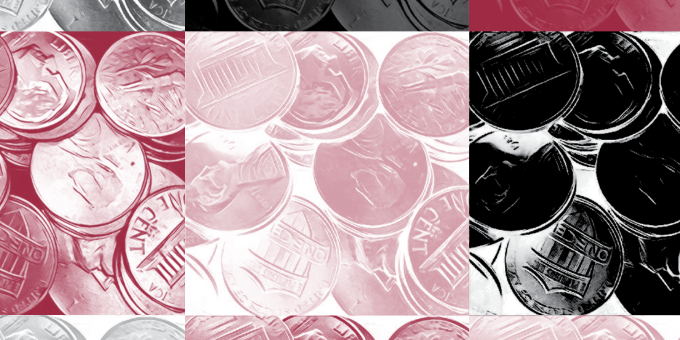 The following conversation, excerpted and edited from the forthcoming book Poverty Insights, features four thought leaders exploring the politics of poverty and inequality. Among the issues Lawrence Eppard, Noam Chomsky, Mark Rank, and David Brady discuss are the political and cultural forces responsible for the significant variation in economic deprivation across wealthy countries. A number of other influential scholars and intellectuals in the fields of poverty and inequality are, in interviews and conversations rather than traditional journal articles or essays, contributing their insights to this project, to be published by Oxford University Press. These scholars share a common perspective: that America’s exceptionally high rates of poverty and inequality are largely the result of structural failings. How we think about economic disadvantage as a nation impacts the policies developed to combat poverty and inequality—social problems that inevitably occur in the absence of collective action. Noam Chomsky (NC): If you look at the OECD [Organisation for Economic Co-operation and Development] statistics on rich countries, I think around 30 of them, the U.S. ranks near the bottom on all measures of what is called social justice. This includes infant mortality, deep poverty, economic inequality, and any other respect. Lawrence Eppard (LE): Many Americans are surprised to learn that the U.S. ranks so poorly relative to other wealthy countries on measures of poverty, economic inequality and insecurity, and social mobility. I think what tends to shock them the most is the data on social mobility. Americans see their society consistently portrayed as a meritocracy, and the social mobility data really challenges that notion. David Brady (DB): We used to believe that the U.S. was the land of opportunity. Sure, we had high inequality, but that’s okay because there was also lots of mobility. Working-class people could be rich. Rich people could fall into poverty. Whereas in some other countries there was less inequality but also less mobility. We know now that was wrong. The U.S. is certainly not a high mobility country. We vacate certain responsibilities that we could take on. We could decide as a society that children are important and that it would be really smart to make investments early in their lives, and they will pay off in terms of the productivity of those children and their potential. We would probably save a lot of money as opposed to imprisoning them. We institutionalize a lot of the social problems we have by choosing not to invest in our children when they are young. Whether that be investments in their health, their childcare, their education, their development, and so on. Mark Rank (MR): One of the projects I’m currently working on is an analysis that attempts to provide an overall estimate of what childhood poverty in the U.S. actually costs us. As far as I know, there have been only two attempts at answering this question over the last 30 years, and both of these attempts are dated. Based upon a large body of work, we know that poverty is destructive for children in various ways. However, what we haven’t considered are the costs of such poverty to society as a whole. In order to come up with an answer to that question, a colleague and I estimated the economic costs of childhood poverty through the loss of economic productivity, increased health care costs, increased costs of corrections spending and incarceration, as well as several other costs of childhood poverty. For 2015, we estimated that the annual cost of childhood poverty was approximately one trillion dollars, which represented 5.4% of our overall GDP. Furthermore, we calculated that for every dollar we spend to reduce child poverty, we would save at least seven dollars with respect to the economic costs of poverty. The bottom line is that the price of childhood poverty in the U.S. is exceedingly high. I believe that recognizing the enormous costs of poverty is an important step toward summoning the political will to address this economic and societal blight upon the nation. However, getting those in the two major political parties to pay attention to these results is another issue. NC: Unlike other advanced countries, in the U.S. there are two political parties. The political system here imposes extraordinarily high barriers on any entry into the system from anything but the two official parties. These are basically top-down organizations which are not participatory in any meaningful way. They are candidate-producing machines. So what has happened to the working class? Neither of the parties represents them. The Democratic Party used to have the working class as a large part of its constituency, but by the 1970s the party had essentially abandoned them. The Republicans have a rhetorical commitment to the working class, but that is pure rhetoric. If you look at their actual policies, they are dedicated, even more so than the Democrats, to the welfare of the extremely rich and the corporate sector. You can see that in the policies that matter, like the fiscal policies. A good example is the Trump candidacy. There is a lot of talk of, “I’m with the workers, I am going to help the workers, I am one of you,” and so on. Take a look at the actual programs, which essentially come from Paul Ryan. The programs call for sharp tax cuts for the very rich and for the corporate sector, and basically nothing for the rest, in fact new burdens. A call for the expansion of military spending with no new source of revenue, which means that other parts of the government that might serve the interests of the general population will have to decline, or else a huge deficit will be created which would be a subsequent burden for others. So the working class is essentially abandoned. The Democrats used to have some kind of commitment to the working class, but that has been pretty much abandoned. Real male wages are about what they were in the 1960s. Much of the population, the working class, the lower middle class, this population has been essentially cast aside. Nobody represents them. The policies are harmful to them and have taken away their meaningful jobs, taken away work, dignity, hopes for the future, security, and so on. They’re resentful and want to change it. That’s showing up in many ways both in Europe and the U.S. It’s pretty dramatic. LE: There has been an increasing recognition in the social sciences over the past few decades that political forces play a crucial role in all of this. It isn’t necessarily a matter of having to either choose capitalism or reject it. Even a capitalist society needs to determine which version of capitalism it prefers. Do you choose to institutionalize equality or inequality? A number of scholars have argued quite convincingly that Americans have chosen high levels of poverty and inequality. We have chosen a more minimalist social welfare response to the inevitable limits of markets, and we therefore suffer the consequences of those choices. Some wealthy countries choose to reduce poverty by around 80%, while we take a more minimalist approach, leave more to markets, and achieve about half of that reduction factor. DB: I argue that what you find is the proximate determinant of that, the thing that most immediately matters to those big differences, is the generosity of the social policies. That comes first. Generous social policies work in a few different ways. One is they raise everyone. Also, these social policies require taxation, which then pulls down the rich and the elites closer to the middle class. So that narrows the inequalities in society overall. Social policies also transfer resources, they give people resources. Generous social policies give low-income people economic resources that enable them to go out and buy their well-being. Now this is different from saying it’s the demography, that there are more single parents, or there are fewer people working. Those sorts of explanations don’t really explain the big differences. It is the generosity of social policies that really matters. So then you start to ask yourself, why do some rich democracies have more generous social policies than other countries? That becomes the next obvious question. I would point to two broad factors. One is the ideologies, the belief systems, the culture, the values that exist within a society. The other is the collective political actors in that society. LE: Individualism continues to be the dominant explanation for poverty and economic inequality in American culture, as it has been for some time. It seems that Americans have a unique ability to blame almost any social problem on individuals, to make them “personal troubles” in the words of C. Wright Mills. This is particularly true when you compare Americans to citizens in other countries, Americans are much more individualistic and anti-statist. One notable example, an International Social Survey Programme (ISSP) survey of citizens in something like 25 countries, found that 61% of Americans believe that people are rewarded for their efforts, while the median response in the other countries was around 36%. And you get similar differences on related questions. So there is something about growing up in our culture that influences this level of individualism and prevents us from collectively taking the kinds of political steps necessary to address many social problems. We internalize individualism and anti-statism through socialization to the point where it is difficult to think in any other terms, it would be outside of what Noam Chomsky calls “the framework of thinkable thought.” This can lead to many problematic assumptions: individuals have extraordinary agency and exist independent of society; there are endless opportunities equally accessible to all regardless of background; hard work and smart choices ensure a secure, middle-class existence; society is a meritocracy; the conflation of negative and positive freedom; and so on. DB: There seems to be something deeply, deeply stitched into the American DNA from centuries of culture that makes us more individualistic. If you were a natural scientist and you found some pattern that existed in an ecology in other countries, you wouldn’t ignore it because it didn’t occur in the United States. That would be antithetical to the scientific ethos. But American social scientists are still pretty comfortable thinking that if it happens here, it is universal and we can generalize from that. The dominant way we think about poverty, both in scholarship and in public discourse, is one of two explanations. One is to say it is all about economic performance. If our economy grows and we drive down unemployment, this economic performance is going to be the driving factor for poverty. The other explanation that is really dominant is what Mark Rank sort of characterizes as an individual characteristics explanation, an explanation that focuses a lot on demographic characteristics. This explanation assumes that there is something wrong with poor people’s individual characteristics. Now the problem with these explanations is that they don’t adequately explain the big differences in poverty that we want to explain. For example, think about the big four individual risks of poverty: single parenthood, young headship [head of household status], low education, and unemployment. These are indisputably the four big characteristics that predict your risk of poverty. If the demographic explanation is correct, then the U.S. should have very high levels of single-parenthood, young headship, low educational attainment, and unemployment. The reality, however, is that the U.S. is actually below average on these things compared to other rich democracies. While we have above average single-parenthood, we have very low unemployment rates, most of our population is highly educated, and we don’t have particularly high young headship. So we don’t actually have a lot of these individual characteristics in our country compared to other rich countries. What is different in the U.S. is not the number of people with those individual characteristics, but the fact that we penalize the heck out of people with those characteristics. MR: One way that I like to illustrate this dynamic is through the analogy of musical chairs. Picture a game of musical chairs in which there are ten players but only eight chairs available at any point in time. Who’s more likely to lose out at this game? However, given that the game is structured in a way such that two players are bound to lose, these individual attributes only explain who in particular loses out, not why there are losers in the first place. Ultimately, those two people have lost out because there were not enough chairs for everyone who was playing the game. The critical mistake that has been made in the past is that we have equated the question of who loses out at the game with the question of why the game produces losers in the first place. They are, in fact, distinct and separate questions. So although characteristics such as deficiencies in skills or education, or being in a single parent family, help to explain who in the population is at a heightened risk of encountering poverty, the fact that poverty exists in the first place results not from these characteristics, but rather from a failure of the economic and political structures to provide enough decent opportunities and supports in society. By focusing solely upon individual characteristics, such as education, we can shuffle people up or down in terms of their being more likely to land a job with good earnings, but we are still going to have somebody lose out if there aren’t enough decent paying jobs to go around. In short, we are playing a large-scale version of musical chairs in which there are many more players than there are chairs. NC: If you take the people who say they want the government off their back, that sector of the population, they are individualistic in that sense. In the same polls, when you ask them if they want to see more spending on education, on health, on aid for mothers with dependent children, they say they support that. So they also have social democratic inclinations. They wouldn’t like it called social democratic. So take for example welfare. They are opposed to welfare. On the other hand, they are in favor of what welfare does, like aid mothers with dependent children. They are opposed to welfare because that’s been demonized. But if you ask about the things that welfare performs, you get support for it. It is a complex mixture because of the nature of propaganda, of the dominant culture. MR: I would add that a particular irony in all of this is that although welfare recipients and the safety net are routinely villainized, life course work shows that approximately two thirds of all Americans at some point during their adulthood will wind up using one of these programs. LE: If we want to tackle problems like poverty and inequality, we have to transform our cultural understanding of freedom, go beyond simply thinking about negative freedom. We also have to think about freedom in the positive sense, the ways in which structural arrangements either enable us to thrive or place constraints upon us. We then have to structure society in a way that allows everyone, regardless of where they start out in life, the ability to live the lives they imagine for themselves. NC: Freedom requires what economist Amartya Sen calls capability. You are not truly free if you don’t have options. There is a famous comment by Anatole France that the poor man and the rich man are equally free to sleep under the bridge. That’s negative freedom. Positive freedom means having the opportunity to maximize your own options. To pursue your own concerns, to have the opportunity to participate in a meaningful way in a functioning and democratic society: that’s real freedom. DB: I have always bought Sen’s argument about this. I thought it was very convincing, that we should develop these capabilities that people have in society. If you are really economically insecure, what kind of freedom do you really have? So it’s not just the negative issues of protecting your individual rights of expression or belief. It’s also enhancing the opportunities and capabilities for the people that don’t have a lot of resources. Having economic resources and capabilities allows people to exist as fully functioning members of society. MR: I always go back to the definition that Sen provides regarding the central meaning of impoverishment. He defined poverty “as a lack of freedom.” When you talk to folks who are experiencing poverty, this is often an overriding condition. What frequently happens is that this lack of freedom undermines people’s abilities to live up to their full potential. This, in turn, hurts us all. As a result, we need to put in place policies that move us toward a society where each individual has the opportunity to live up to his or her full potential. An excellent place to start is by prioritizing and investing in programs that reduce the extent of poverty in this country. Lawrence M. Eppard is in the department of sociology/anthropology at Shippensburg University. Noam Chomsky is in the department of linguistics at University of Arizona. Mark R. Rank is in the department of sociology and the school of social work at Washington University in St. Louis. David Brady is in the school of public policy at University of California–Riverside.